Four musicians come on stage, slightly more tense than usual and a little less organized than one would expect at a classical music concert. Each is carrying his own music: one holds a faded stack of scores, another has picked a neat folder of sheets, while a third has found a wellworn red cover with baroque ornamentation. A furtive glance between the players betrays a certain relief, relief that the concert is about to start, and the joy of music making only moments away. Another look at the scores: which piece were we going to play first?, a whisper, a final glance to check the order and the right instrument. Take your bow – we’re almost there. As a single person they breathe air and inspiration, and then the wonder of music takes over. 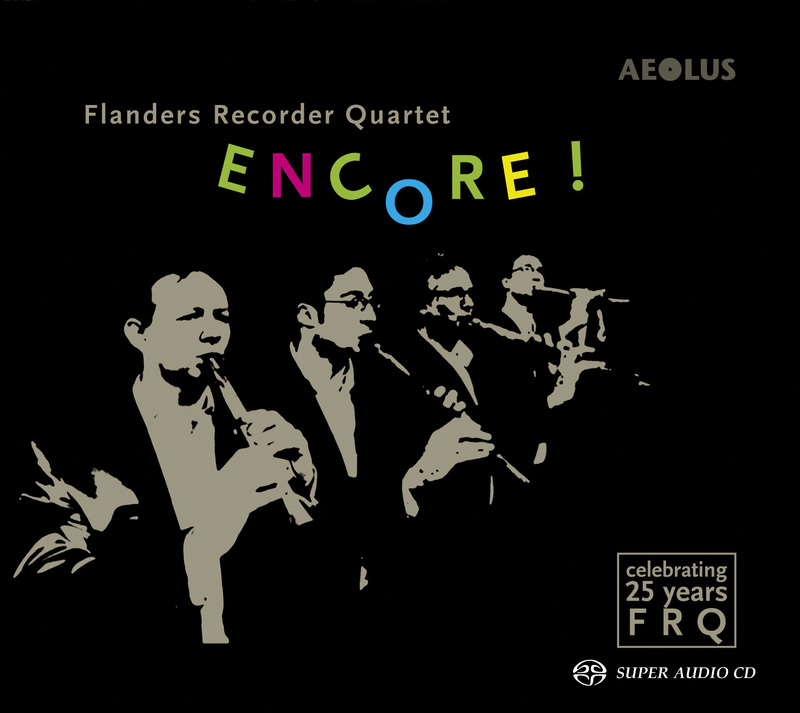 After some two thousand concerts during its twenty-five years in existence, Flanders Recorder Quartet doesn’t really have stage fright anymore. 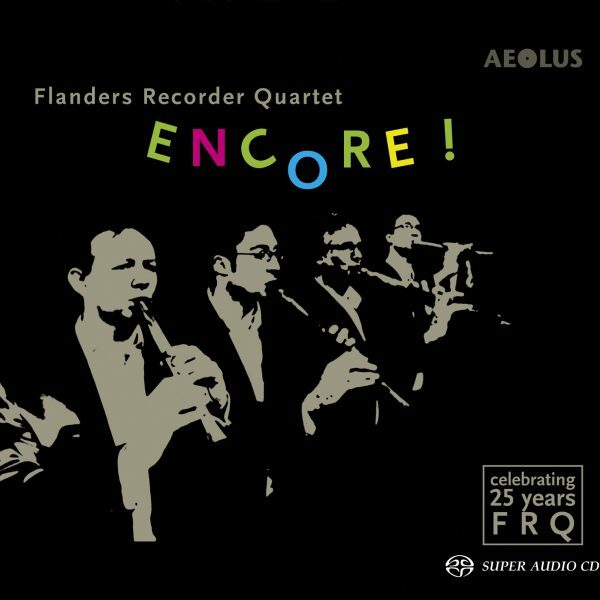 But when the audience can select its own top of the bill, picking the concert’s programme right before the start, then things change… During the 2010-2011 season, Flanders Recorder Quartet presented an exceptional programme: its own Jukebox in concert. This time there was no thematic programme, no following Pierre de la Rue’s footsteps, no selection of songs by Henry VIII, but a radically new proposition. In Jukebox the audience would decide on what FRQ was going to play that afternoon or evening. The concept was as easy as it was straightforward: FRQ brought along all its instruments and folders of music scores. The collection of over a hundred available pieces offers a beautiful cross-section of the varied literature for recorder, as well as personal favourites of Tom Beets, Bart Spanhove, Joris Van Goethem and Paul Van Loey. A computer would tally the audience vote and hand us the result, giving us fifteen minutes before the concert to decide on the order. Wherever we tried it, whether in a small mansion in Germany, a country school in Flanders or a music festival in South Korea, it worked! Twenty Jukebox shows later, we drew the balance. How do fans answer the question: What would you like to hear again? First of all, they favour the spectacular: virtuosic, engaging, upbeat, swinging, a little crazy. The pieces that incarnate all these attributes turn out to often be the encores at a FRQ concert. The pleasure that the audience and the four musicians got from Jukebox finds a culmination on this CD. Encore!